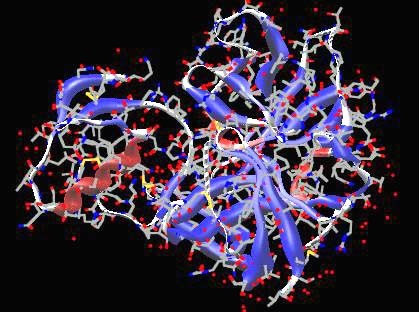 3D-Explorer is designed to visualize spatial models of biological macromolecules and their complexes (below referred to as models). The 3D-Explorer application is compatible with PDB files . 3D-Explorer has an interface compatible with the GetAtoms and CE applications and can visualize several compared 3D-structures. [2, 3]. The macromolecule can be presented as wire, stick, ball and stick, and CPK models. You can visualize charge on molecular surface as well as hydrophobisity. 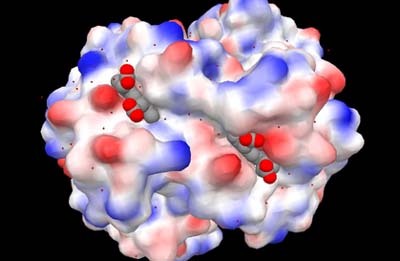 You can drag a macromolecule model with your mouse, rotate it, and change the size of models. You can also change the detail level and color of models and their elements. In 3D-Explorer, you can work with several types of molecular elements and show the structural features of a molecule as a matrix diagram. PDB Documentation and Information. File Formats and Standards. 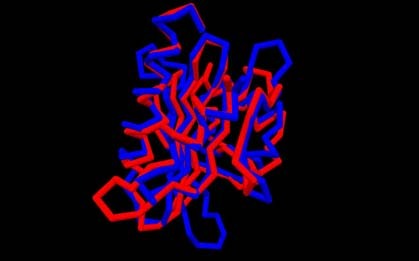 Shindyalov IN, Bourne PE (1998) Protein structure alignment by incremental combinatorial extension (CE) of the optimal path. Protein Engineering 11(9) 739-747.